There are different techniques and methods for polishing marble floor. The marble floor polishing specialists at Modern Stone Care will evaluate your floors and present several options that’s best for you. One option for polishing marble floors is the use of use diamond abrasives to hone the stone, afterwards change to powdered abrasive for the final polish. Powdered abrasives contain crystals of tin oxide or aluminum oxide. These powders are typically white, but can come in colors of brown, yellow or gray. We’re marble floor polishing specialists that understand that marble stone is mechanically finished to create a high gloss shine. Lightscuffs, etches, along with scratches can be removed with the polishing process, if the marble has a medium surface diamond grinding is needed. Modern Stone Care has performing floor restoration for marble floors in thousands of homes throughout Houston and surrounding areas. If your marble floors are beginning to look dull and beginning to see etching that need to be repaired contact us. Our Flooring specialists can polish your marble floors using diamond abrasives or polishing powders to restore your floors like new with semi-gloss, full gloss or matte finish. We’re an experienced company with excellent service providers. We take on any flooring project if its big or small. Our goal is to meet the needs of every homeowner we work with. A lot of the flooring finishes found in homes require special protection and care. 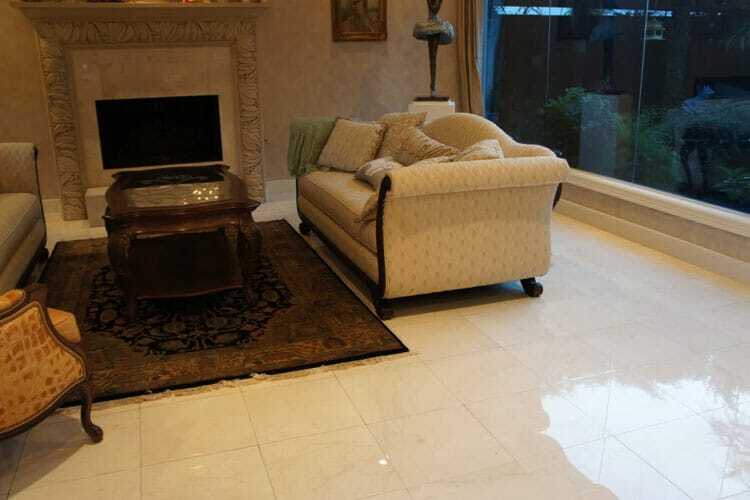 You can count on us to keep your marble floor surface new and gleaming. We use the greenest of products it very important to us, not only do we want to keep the environment safe but most importantly keep you and your love one’s safe. The quality of our polishing services the key to developing an incredible collaboration. Modern Stone Care pricing is very competitive, we want to keep your marble flooring cost down and provide you with the best results for your home. To get more information about marble floor polishing and why it’s an excellent addition to your home contact the natural stone polishingprofessionals Modern Stone Care.